There is a Guns N Roses tribute band on the show as well apparenrtly...as well as Kiss N Cry. 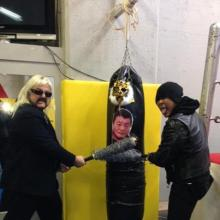 They appear to be attacking what looks like a picture of Tatsumi Fujinami. 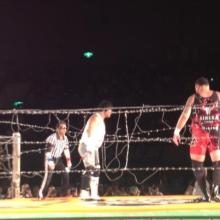 Fujinami was wrestling when Pogo was a rookie and Onita was singing in the Nagasaki Philamonic Choir. 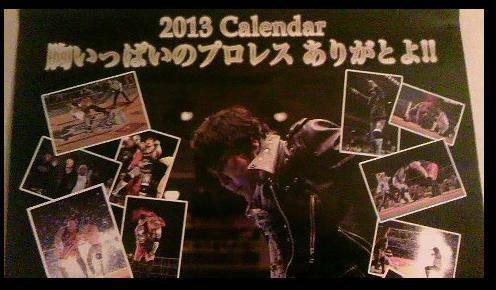 Anyone for an Onita calendar? No idea who this "Kobayashi" is, but it keeps cropping up. 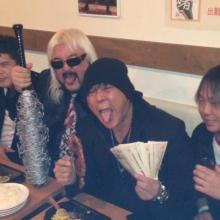 - Special Referee: Megumi Kudo "Princess heresy"
And here is Onita enjoying steak at said house. Be the birth of the first ever professional wrestler helper 2 class? 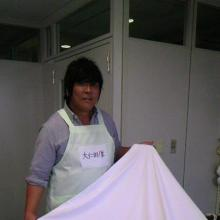 Onita has been doing a nursing course, it seems to revolve around caring for the elderly and he has had to shampoo hair and change adult diapers. 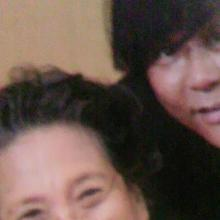 I view the experience at that time 70% probability of dying! Reminds me of when Hepatitis almost killed him, I wonder if thats what he means, but I thought it was longer than 10 years ago. 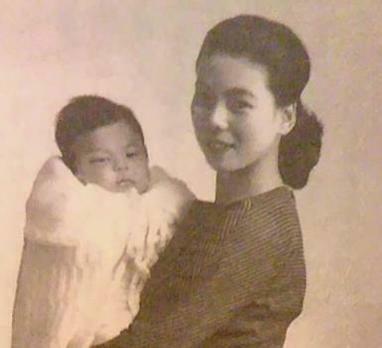 Kuniaki Kobayashi is Kobayashi. He's a former New Japan Jr. Heavyweight from the 80's that would have matches with Tiger Mask. 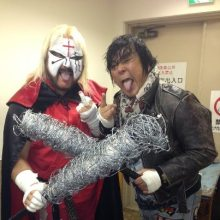 They were partners feuding with Onita and Yaguchi in Real Japan/Legend Pro-Wrestling. 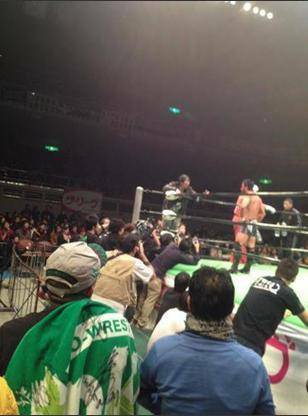 That's who is on the punching bag not Fujinami. 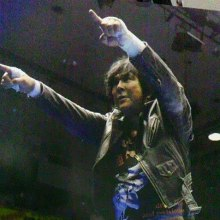 Masato Tanaka teamed with Onita and Yaguchi against Akebono, Sugawara, and Fujita at Onita's show back on December 21st. 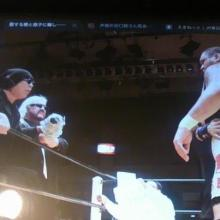 Megumi Kudo was the referee for the semi-main event match. 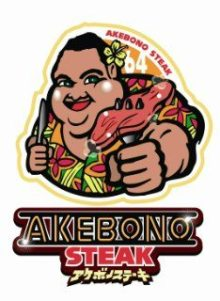 He injured his ribs back in May and reinjured them on that December 21st show by delivering a DDT to Akebono on a table and his ribs hitting the edge of the table. You need to go back to my website one of these days. It keeps up with all this stuff.